VA Appeals Modernization: 3 New Appeal Options will include a VA Supplemental Claim. This post is the second in a series of posts about VA RAMP. In that post, I will give you an overview of what the VA is calling “RAMP”, and I discuss the pros and cons of signing up for RAMP. In that first post, I also mentioned that there will be 3 structural changes to the current VA appeals process, what the VA will call the “Legacy VA Appeals process”. In this post, we are going to discuss the FIRST of those major structural changes – the 3 choices of appeals you will have under the new system. But first, a “refresher” on what VA RAMP is. Refresher – What is VA RAMP? Let’s remember what VA RAMP is. So we know that there is a massive VA Appeals Backlog. It started years ago, when the VA decided to “fix” the VA Claims Backlog, and just denied a ton of claims, and told everyone that they were getting faster. The VA counts claims and appeals separately, so to make their VA Claim numbers look better, they just denied a bunch. Some veterans gave up, others filed appeals. So many filed appeals that the appeals system began to backlog. Right now, as of April 2018, if the VA took in no new appeals, and worked around the clock to issue decisions at their current pace, it would take until 2026 to clear out the backlog. The rational response is to admit that the VA is incapable of saving its own problems. The sane person would admit that the entire VA benefits system is broken and needs to be gutted and rebuilt to match the needs of a new era of veteran. But instead, Congress decided to go “once more into the breach” with the VA and in 2017 passed the VA Rapid Appeals Modernization Program. This legislation is the single most significant piece of Veterans Benefits legislation to come out of Congress since the Judicial Review Act in the 1980s, and it will change your VA claims and appeals dramatically. Theme 2: structural changes specifically to the BVA hearing and the process to get a BVA hearing. We have already discussed the first theme, and you can click here to read about the structural changes to the types of appeals that will be available under the new clusterf**k.
This post discusses the second theme, and discusses the types of appeals a veteran or survivor can file, when they can file them, and what purpose they serve. THIS IS CRITICAL: VA RAMP refers to the VA pilot program to implement the Veterans Appeals Improvement and Modernization Act of 2017. However, since the pilot program is about to be scrapped, that term is going to go away or it is going to mean something else. The VA will tell us at the last possible minute. Right now, we have 3 Appeal processes: Legacy appeals, RAMP Pilot Appeals, and the Actual Modernization Appeals process, which cannot by law start until February 2019. Let’s talk about the new types of appeals you will (theoretically) be able to file under the new modernized appeals process. These options are NOT all currently available, so be very very careful what you file. I believe that until the VA publishes regulations governing the new process, and we know EXACTLY what our rights are under the law, opting into the new program is just asking for the VA to screw you over. VA RAMP Appeals Process Change #1:The Supplemental Claim is a critical new “appeal” option. Under the new appeals process, you will get 3 appeal options. That’s as easy as it gets folks. Now, instead of just appealing and waiting in a broken system, you are going to get to choose between 3 broken systems to chose from. You have to make a decision which process is best for your claim, wade through all the bulls**t and myths and fairytales that other vets and VSOs spread about the process, and pick an option that will be non-reversible. That said – can you tell I am not a big fan of this new process – selection of one of these options is triggered by your dissatisfaction with a VA ratings decision on your claim. Regardless which pillar of your VA claim you are denied for – eligibility, service connection, impairment rating, or effective date – you are still going to have to choose one of these 3 appeal options. 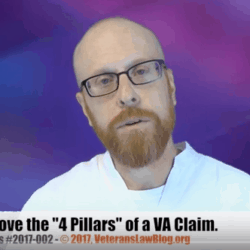 Check out my Video Training Course: How to Prove the 4 Pillars of a VA Service Connection Claim. It is too early to know how to decide which option will be best for any given claim or appeal, as the VA has not yet published VA RAMP Appeals Reform regulations. Option 1, the Supplemental Claim (The concept behind this is similar to a reopened claim). Option 2, the Higher Level Review (This is not only like a DRO review, but also unlike a DRO review). Option 3, the BVA Appeal (The BVA appeal and hearing we have lived with for over half a century). If you do not get a favorable decision in your VA claim, and believe that with additional evidence the decision would be different, you can file a Supplemental Claim. The Supplemental Claim is the grenade pin of the whole VA Appeals Modernization plan. If it works, the plan works. If it becomes just another tool to delay and deny, this system will collapse into itself very quickly. Under the statute – which may not at all be what the VA puts into regulations – you will be able to file a VA Supplemental claim any time after a ratings decision. However, to properly file a supplemental claim, you will have to send it in with “new and relevant” evidence (which Congress has asked courts to construe in the same way as they did the phrase “New and Material evidence”). Your “new and relevant evidence” will have to be sent in within 30 days of the Supplemental Claim form you file. How will the supplemental claim affect your effective dat? If your Supplemental Claim is filed within 1 year of your VA Ratings Decision, the effective date will remain the date of the original underlying claim. If you file it more than 1 year after the VA Ratings Decision, your effective date will be the date of the Supplemental Claim. There is no limit to the number of Supplemental Claims you will be able to file, although I presume that it makes sense to file only one per medical condition at a time. This has disaster written all over it – veterans are so desperate for action from the VA that I am hearing of veterans filing “reconsideration requests” on VA Duty to Assist letters, clogging the system up really bad. VA Supplemental Claims must always include new and relevant evidence as to the element for which the prior claim was denied. A Supplemental Claim can be filed after any VA adjudicatory action: VA Ratings Decision, BVA Decision, even (as the statute is written) CAVC decisions. The VA clearly favors this option, and it’s easy to see why. If done in a certain way, and with a certain subset of veterans (those who don’t know the system or don’t hire an advocate to help) the VA can deny a veteran or survivor’s claim and appeal forever, without ever giving the veteran a viable option at judicial review. Option 2: Higher Level Review. If you are not satisfied with your VA Ratings decision, but have no new and relevant evidence, they will be able to request what is called a “Higher Level Review”. The Higher Level Review will (in theory) be performed by an experienced VA Rater a rater at the same or different office as the original decision. The Higher Level Review is different from the current DRO process in that under the DRO process, you can submit new evidence to the DRO. The Higher Level Review Process does not let you submit new evidence. You are stuck with what was in the file when the VA denied you. This boggles my mind. The Higher Level Review takes away the one thing in the last 20 years the VA did that was not only popular with veterans, but also highly successful: the DRO (Decision Review Officer) process. Not only that, it eliminates the very thing that made the DRO process so successful and popular with veterans: a veteran could submit new evidence and argument directly to a senior VA claims rater and get a quick decision or statement of case from the VA, moving the case along. The VA can deny a request for a Higher Level Review for good cause shown. Option 3: BVA Hearing and Decision. Not much will change about this option, the BVA Hearing option. However, almost everything will change in how you GET TO the BVA hearing. I am going to discuss this in great detail in the next part of this series (a link will appear here when it is published). You have 1 year from the date of the VA Ratings Decision to file your BVA Appeal. You no longer need to perfect an appeal by filing a NOD, waiting for a Statement of Case (SOC) and filing a VA Form 9 Substantive Appeal. Instead, your appeal to the BVA, at least in theory, will be initiated by a single notice of disagreement, that will have slightly more formal pleading and filing requirements. The NOD will be filed with the BVA, so in theory, the VA appeals certification process will go away. The BVA has additional authority to decide whether an appeal is adequate and will be able to dismiss those it thinks are inadequate. After your BVA appeal, you will be able to choose 3 “Tracks” or “Lanes” for your specific BVA Appeal. The 3 tracks – which I will discuss in more detail in the next post – all involve different combinations based on whether you want a hearing and when you want to include evidence in the record. The BVA will maintain at least 3 dockets: a hearing docket, a no-hearing docket, and a legacy docket for those appeals that are still handled under the current system. The biggest change is this: once the VA issues a Ratings decision, the Duty to Assist “expires”. Frankly, this may be a good thing. I never saw a lot of value in the duty to assist, as the competent veteran sought out and proved up their own claims with 5 Star Evidence of their own. Coming next: the 3 BVA Hearing Options. 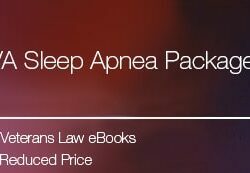 In the next in this series, I will explore the details of the 3 different BVA Hearing options. When the post goes live, this text will be replaced with a link to that post.